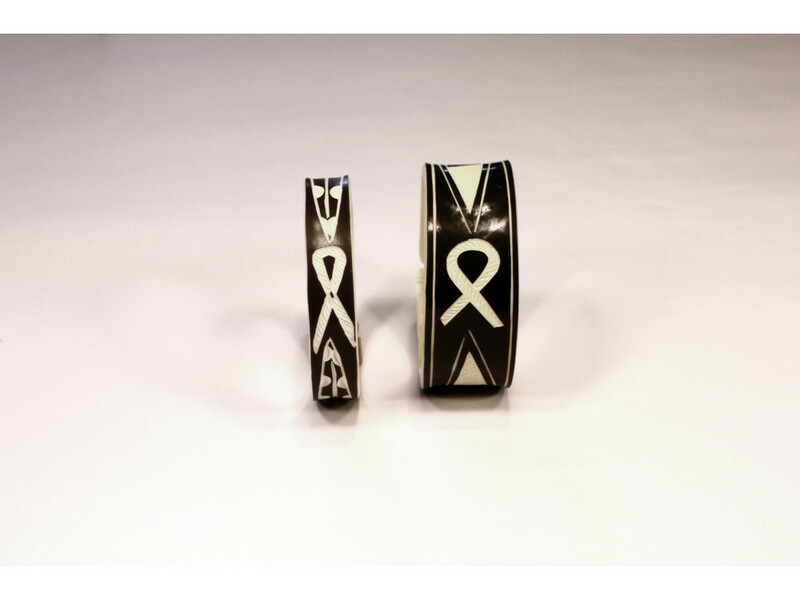 Hand-carved in the Ovahimba tribal tradition by villagers in Namibia, no two African Art bracelets are alike. 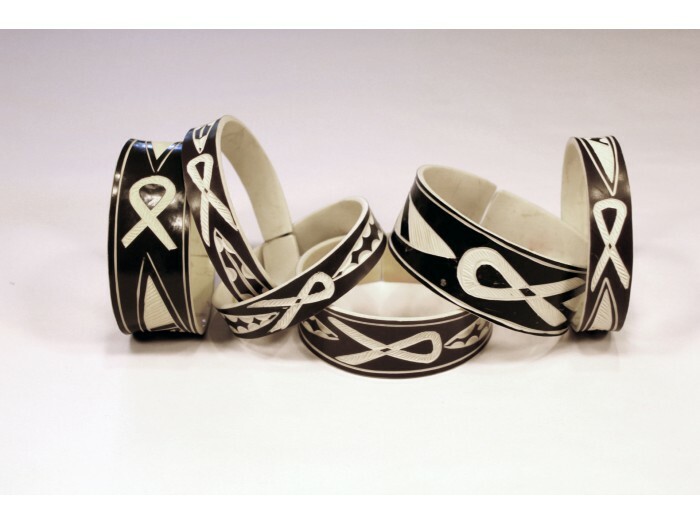 Each bracelet features a representation of the AIDS ribbon, and each is a poignant work of wearable art imaginatively and resourcefully crafted from recycled PVC pipe. 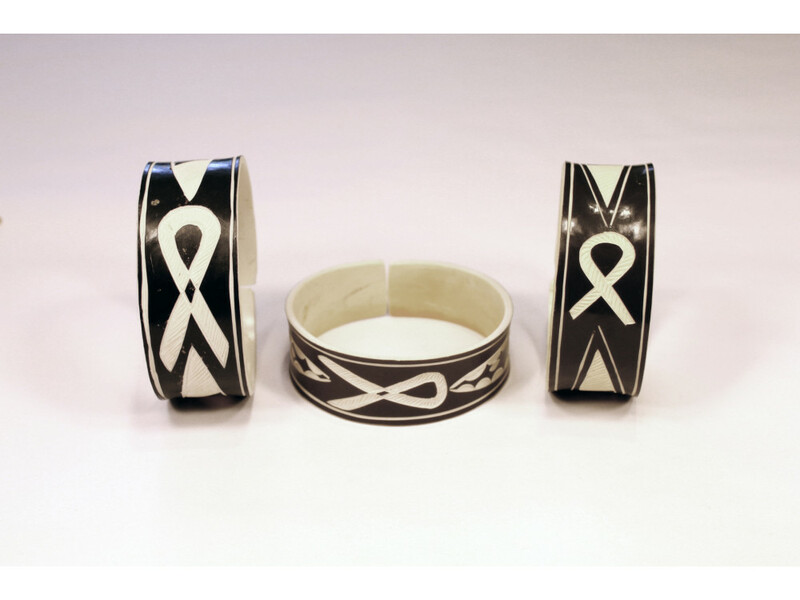 Your purchase of this unique bracelet provides care services, food, and schooling for children of this Namibian village and other areas of Africa ravaged by AIDS. Each bracelet is a showpiece, full of meaning and depth, and worn with the hopes of eradicating this disease forever. 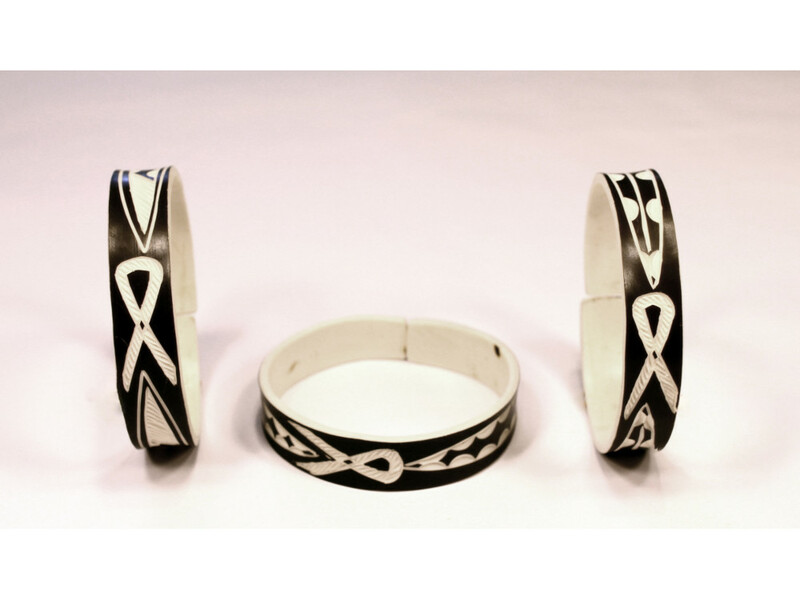 Buy it for yourself or as a memorable gift.